A Pennsylvania-based animal rights group has failed to raise enough money to buy NFL star Michael Vick's former dog-fighting compound and turn it into a rehabilitation center for chained and penned dogs. 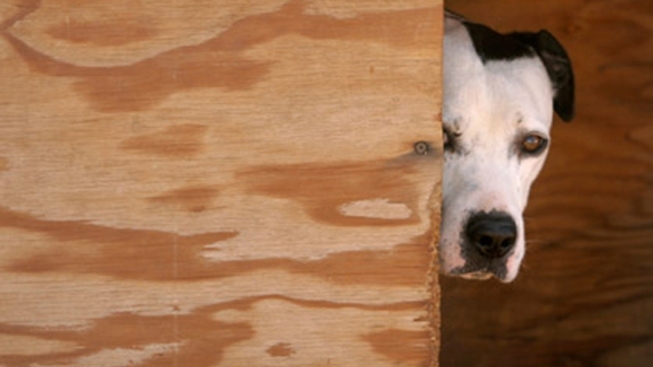 Dogs Deserve Better of Tipton, Pa. says it missed its Sunday deadline to raise nearly $600,000 to buy the 4,600-square-foot house in Surry County, Va. The house and the 15 acres it sits on served as headquarters for the Bad Newz Kennels dog-fighting operation. Dogs Deserve Better raised about $130,000. It's now asking for a 30-day extension to secure financing. The group's ultimate goal is to raise $3 million to build a facility for the dogs at the site. The property has five bedrooms, four and a half bathrooms, walk-in closets and an attached, two-car garage.